I'm not fast enough. The man steps from the shadows at the end of the adjacent shelving unit and catches me around the waist. Clasping his hand over my mouth, he hisses into my ear: "Stop fighting me, Adelice." Oh my gosh! Is this what happens at clubs? I can't help but associate a club to the cover ha ha! Hope your friend is okay! A great cover, sounds like she 's in trouble. Ooh. Is he there to help her or hurt her. Pretty cover art and the title is catchy. I'd pick this up if I spotted it on a shelf. I must admit that since I enjoy crewel embroidery, that was my first thought when I saw this book's title. However, your Teaser told me this book isn't about handicrafts! Sounds like a thriller. Here's the link to my Tuesday post: Retirement Can Be Murder. This is one on my tbr pile. Hope you're liking it. That sort of thing just makes people want to resist all the more. Very intense! 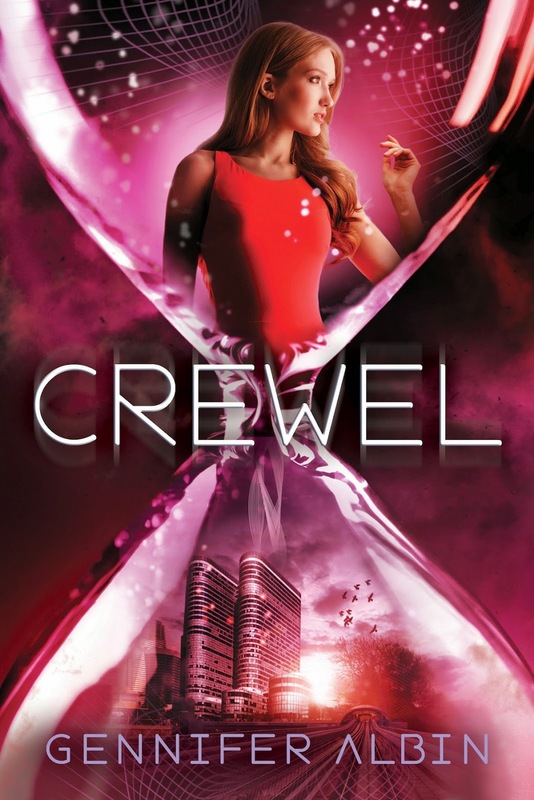 I've heard great things about Crewel. Thanks for sharing!